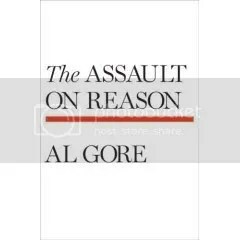 Reading Al Gore’s book The Assault on Reason has served to reinforce my view that Gore is perhaps the last living Progressive — that is, the kind from the Progressive Era, not someone who agrees with Dennis Kuninich. Big-P Progressives, unlike Kucinich, were essentially middle-class moderates who blended reform-minded populism with support for “good” business, environmentalism, moralism, and war hawkishness. (Okay, Gore obviously doesn’t fit that last one.) In The Assault on Reason, Gore has outdone himself in the Progressivism field; indeed, he has written a bona fide Progressive tract. 2) Propose a universal panacea to renew America and solve all its problems at one stroke. The loss of something outside ourselves which we can obey is a revolutionary break with our habits. Never before have we had to rely so completely upon ourselves. No guardian to think for us, no precedent to follow without question, no lawmaker above, only ordinary men set to deal with heart-breaking perplexity. All weakness comes to the surface. We are homeless in a jungle of machines and untamed powers that haunt and lure the imagination. Of course, our culture is confused, our thinking spasmodic, and our emotion out of kilter. No mariner ever enters upon a more uncharted sea than does the average human being born into the twentieth century. Our ancestors thought they knew their way from birth through all eternity: we are puzzled about the day after to-morrow. The fault in the vision of our national future possessed by the ordinary American does not consist in the expectation of some continuity of achievement. It consists rather in the expectation that the familiar benefits will continue to accumulate automatically. 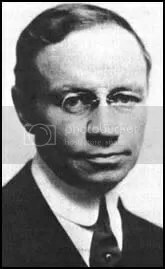 In his mind the ideal Promise is identified with the processes and conditions which hitherto have very much simplified its fulfillment, and he fails sufficiently to realize that the conditions and processes are one thing and the ideal Promise quite another. Moreover, these underlying social and economic conditions are themselves changing, in such wise that hereafter the ideal Promise, instead of being automatically fulfilled, may well be automatically stifled. For two generations and more the American people were, from the economic point of view, most happily situated. They were able, in a sense, to slide down hill into the valley of fulfillment. Economic conditions were such that, given a fair start, they could scarcely avoid reaching a desirable goal. But such is no longer the case. Economic conditions have been profoundly modified, and American political and social problems have been modified with them. The Promise of American life must depend less than it did upon the virgin wilderness and the Atlantic Ocean, for the virgin wilderness has disappeared, and the Atlantic Ocean has become merely a big channel. The same results can no longer be achieved by the same easy methods. Ugly obstacles have jumped into view, and ugly obstacles are peculiarly dangerous to a person who is sliding down hill. The man who is clambering up hill is in a much better position to evade or overcome them. Americans will possess a safer as well as a worthier vision of their national Promise as soon as they give it a house on a hill-top rather than in a valley. The very genuine experience upon which American optimistic fatalism rests, is equivalent, because of its limitations, to a dangerous inexperience, and of late years an increasing number of Americans have been drawing this inference. The persistent and sustained reliance on falsehoods as the basis of policy, even in the face of massive and well-understood evidence to the contrary, seems to many Americans to have reached levels that were previously unimaginable. A large and growing number of Americans are asking out loud: “What has happened to our country?” More and more people are trying to figure ut what has gone wrong in our democracy, and how we can fix it. It is too easy — and too partisan — to simply place the blame on the policies of President George W. Bush. We are all responsible for the decisions our country makes. We have a Congress. We have an independent judiciary. We have checks and balances. We are a nation of laws. We have free speech. We have a free press. Have they all failed us? … Why has America’s public discourse become less focused and clear, less reasoned? …Hardly anyone now disagrees that the choice to invade Iraq was a grievous mistake. In late 2005, the former head of the National Security Agency, retired lieutenant general William Odom, said, “The invasion of Iraq, I believe, will turn out to be the greatest strategic disaster in U.S. history.” Yet, incredibly, all of the evidence and arguments necessary to have made the right decision were available at the time and in hindsight are glaringly obvious. Whether you agree with General Odom’s assessment or not, Senator [Robert] Byrd’s point before the invasion was that, in America, we are supposed to have a full and vigorous debate about questions as important as the choice between war and peace. So why didn’t we? If we had engaged in such a debate, instead of impulsively invading a country that did not attack or imminently threaten us, we might well have avoided the tragic problems created by the war and its aftermath. Consider the rules by which our present public forum now operate and how different they are from the norms our Founders knew during the age of print. Today’s massive flows of information are largely in only one direction. The world of television makes it virtually impossible for individuals to take part in what passes for a nationa conversation. The remedy for what ails our democracy is not simply better education (as important as that is) or civic education (as important as that can be), but the reestablishment of a genuine democratic discourse in which individuals can participate in a meaningful way — a conversation of democracy in which meritorious ideas and opinions from individuals do, in fact, evoke a meaningful response. Gore’s reference here to “meritorious ideas” reveals another aspect of his political outlook solidly rooted in Progressivism: his belief in meritocratic governance. In this sense, his writing appears more Crolian in outlook. But Gore takes a definitive turn toward Lippmann when he unveils his panacea for reopening “the marketplace of ideas”: the Internet. Just as the printing press led to the appearance of a new set of possibilities for democracy, beginning five hundred years ago — and just as the emergence of electronic broadcasting reshaped those possibilities, beginning in the first quarter of teh twentieth century — the Internet is presenting us with new possibilities to reestablish a healthy functioning self-government, even before it rivals television for an audience. In fact, the Internet is perhaps the greatest source of hope for reestablishing an open communications environment in which the conversation of democracy can flourish. It has extremely low entry barriers for individuals. The ideas that individuals contribute are dealt with, in the main, according to the rules of a meritocracy of ideas. It is the most interactive medium in history and the one with the greatest potential for connecting individuals to one another and to a universe of knowledge. And here, in my judgment, Gore finally, at long last, goes off the deep end. 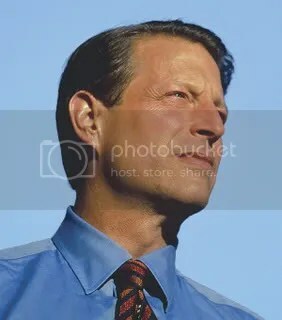 First off, the idea that the Internet has “extremely low entry barriers for individuals” simply shows the narrowness of Gore’s own experience; had he ever talked to poor people living in slums, he might have learned just how steep the entry barrier for the Internet can be when you don’t even have enough money to keep food on the table for your children. If Gore really wanted to lower the entry barrier, he would propose the bold stroke — and he does not lack for boldness elsewhere in the book — of a bill federally funding universal national free wifi, coupled with enough computer centers to ensure at least some limited free Internet access for every man, woman, and child in America. Instead, he promotes net neutrality, which is a critical step toward keeping the Internet open but not for improving access to the underprivileged. (Gore doesn’t even propose repeal of the 1996 Telecommunications Act, the bill signed by President Clinton that resulted in the media consolidation we see today.) In addition, the increasing hegemony of the Internet in everything from media empires to YouTube, coupled with the disproportionate number of Internet users who are white, male, and privileged, should give anyone pause as to how “open” this emerging medium really is. If the scientific temper were as much a part of us as the faltering ethics we now absorb in our childhood, then we might hope to face our problems with something like assurance. A mere emotion of futurity, that sense of ‘vital urge? which is so common to-day, will fritter itself away unless it comes under the scientific discipline, where men use language accurately, know fact from fancy, search out their own prejudice, are willing to learn from failures, and do not shrink from the long process of close observation. Then only shall we have a substitute for authority. Rightly understood science is the culture under which people can live forward in the midst of complexity, and treat life not as something given but as something to be shaped. Custom and authority will work in a simple and unchanging civilization, but in our world only those will conquer who can understand. There is nothing accidental then in the fact that democracy in politics is the twin-brother of scientific thinking. They had to come together. As absolutism falls, science arises. It is self-government. For when the impulse which overthrows kings and priests and unquestioned creeds becomes self-conscious we call it science. The only fruitful promise of which the life of any individual or any nation can be possessed, is a promise determined by an ideal. Such a promise is to be fulfilled, not by sanguine anticipations, not by a conservative imitation of past achievements, but by laborious, single-minded, clear-sighted, and fearless work. If the promising career of any individual is not determined by a specific and worthy purpose, it rapidly drifts into a mere pursuit of success; and even if such a pursuit is successful, whatever promise it may have had, is buried in the grave of its triumph. So it is with a nation. If its promise is anything more than a vision of power and success, that addition must derive its value from a purpose; because in the moral world the future exists only as a workshop in which a purpose is to be realized. What Lippmann leaves out of Drift and Mastery, and what Croly captures in The Promise of American Life, is the importance of personal civic responsibility in the rebirth of any broken nation. There is no panacea but the one we all create when we take control of our own destinies by claiming civic ownership of our nation. Our national promise, writes Croly, thus becomes for each of us “a responsibility, which requires for its fulfillment a certain kind of behavior on the part of himself and his fellow-Americans.” John Kennedy understood this when he exhorted Americans to “ask what you can do for your country.” While Gore wants to enable that kind of national ownership through the Internet, he needs to lead it by example; otherwise, he’s proposing a Lippmannian solution to a Crolian problem. 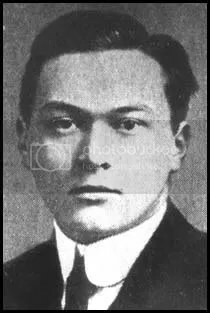 Like Lippmann before him, Gore is mistaken if he believes that one can simply create and protect a new medium or discovery and then leave it alone to fix all our problems. The success of the internet does not obviate the need for leadership and civic engagement in America. While it’s heartening to know that Gore understands America’s problems as does no other politician of our times, if Gore truly believes that their solution is technological rather than political, as he appears to in The Assault on Reason, he should follow his gut instinct and stay out of the Presidential race in 2008. Better to leave the field to those eager and willing to take up the responsibility Croly correctly lays at the feet of all Americans: to fulfill America’s promise through civic and political leadership. This entry was posted on Saturday, October 6th, 2007 at 7:18 pm and is filed under Uncategorized. You can follow any responses to this entry through the RSS 2.0 feed. Responses are currently closed, but you can trackback from your own site.